We have been very blessed since Scarlett began maintenance to have had the opportunity to do a little traveling. Florida, Chicago, Wisconsin Dells, Minnesota, and now Alabama. Traveling with Scarlett makes things just a little more complicated. Before we could leave, we had to improve her foot situation. While her infection itself will not go away, she could not go to the beach with open sores. We worked really hard to slather her feet in moisturizing creams, ointments, everything we could think of. The winning formula was suggested by my wound care nurse at work. (I don’t know why I didn’t think to ask her initially – she is the expert!) For the two weeks before we left, we used miconazole powder and Aquaphor in the morning and miconazole powder and Calmoseptine at night. The Calmoseptine is a barrier cream which contains a little menthol. It holds moisture in, cools her feet, takes away a little pain, and is a pretty pink color for our princess! By the time of her appointment, Scarlett had no open sores and was cleared for the beach! Scarlett’s appointment was on Thursday, May 5. It was a pretty boring appointment. Lab work, vincristine, a physical. Her labs all looked great (ANC 1200, Hgb 12). The final preparation for our trip was her paperwork. Part of planning our trips is finding every Children’s Hospital and pediatric oncology unit along the way and closest to our final destination. We are sent with a summary of her treatment plan, her last appointment, and orders for admission just in case. Packing for travel is nerve racking. It’s not like you can walk into any pharmacy and get her medications if something is left behind. And it’s not like you can pack it a couple days ahead of time since most meds are given every day. That makes for a stressful last minute rush. Her current med list is pretty short but still requires an entire bag just for that. For this trip, Scarlett was assigned the Mickey bag. And yes, it’s pretty much full. We left the following day after school. Since Scarlett had started her prednisone the night before, we weren’t sure how driving for 18 hours would mix with her “roid rage”. This month, Scarlett was very quiet on her prednisone. She didn’t talk much for the next three days or throw any fits. She slept a lot. We have really been trying to observe Scarlett. Every time she plays, it gives us an opportunity to really watch her and study her. We pay attention to her gait and posture. We watch her walk, run, jump, sit. Brock talks to Dr. B for a long time at every appointment about all of this. We worry about her physical development because of the evil Vincristine. Vincristine causes neuropathy and weakness. We have seen this developing over the past six months. It is something that is becoming more and more worrisome and important to address. Good thing Daddy works in PT. On Thursday, Scarlett fell. We were just walking to the car and I said to her “wow, Scarlett! You’re walking so great!” And before the words came out of my mouth, her leg collapsed and she went down. We did a lot of evaluating and stretching and massaging. She most likely has a mild ankle sprain. She was very adamant that she couldn’t walk. For the next four days. 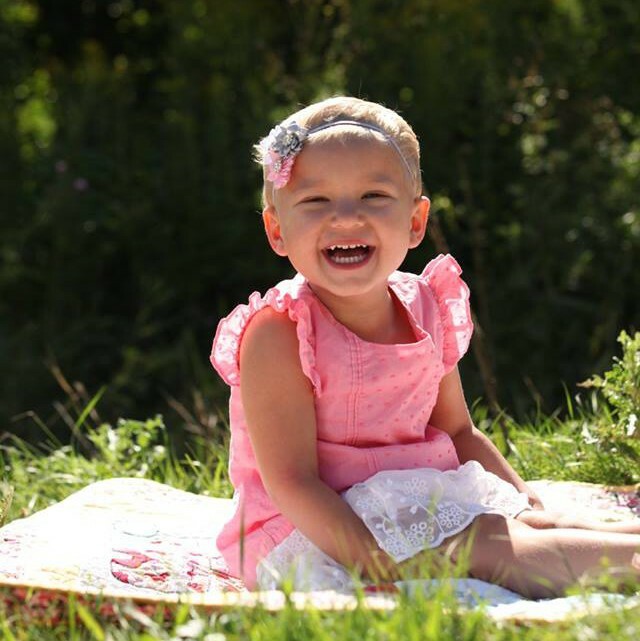 Throughout her treatment, we have been very grateful for Scarlett’s stubbornness and tenacity. Those have been important traits to get her through the difficult times. But during the “down” times, those features drive a parent crazy! After four days of not walking, we asked Scarlett if she wanted to skip gymnastics. “No I’m going”. She fully committed to the fact that she was completely unable to walk. When she was instructed to run, she ran…on her knees. When she was told to hop, she hopped…on her knees. So we pulled her from the class. When they started to do the fun stuff, she decided to go back to class. She dramatically limped across the gym to rejoin her class and very dramatically did the activities. Then came time to do the trampoline. And guess what! She jumped down the length of the trampoline! Then she got off and limped back to the line. Her leg improved again when she had to walk up the podium to accept her award too. Oh my goodness! We are in trouble! She is an A+ actress when she wants to be! We have no doubt that she did hurt her ankle and that it probably does hurt. But she is also very good at exaggeration and manipulation and that makes it extremely difficult to determine what is real and what is convenient for her. These are the challenges of having a very intelligent and stubborn child!